Maundy Thursday takes its name from the Latin word for “commandment,” as we remember when Jesus told his disciples, “A new commandment I give to you: Love one another.” We mark the official end of Lent by receiving individual absolution, or forgiveness. We also remember the first Lord’s Supper and the washing of the disciples’ feet. 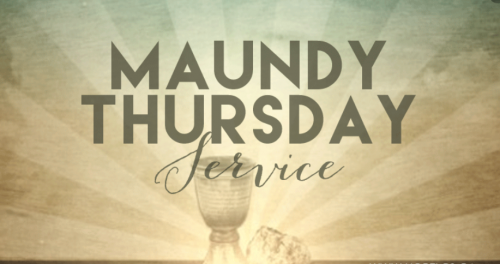 Worship on April 18 at 6:30 pm.